Decide on the most convenient location for the holder on your deck. Check for flatness using your upturned Rod Holder as a guide. 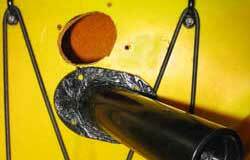 Remember to make sure you have suitable internal clearance (about 15cms for the 45-50° rod holders). 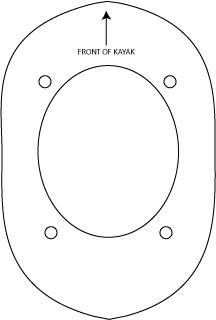 Mark the deck using the oval shaped template. Drill a starter hole big enough to accept the jig saw, then cut around the line you have drawn with the template. 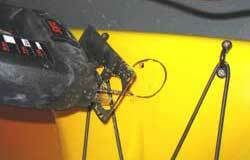 Be aware that you may have rudder cables nearby, so be careful. 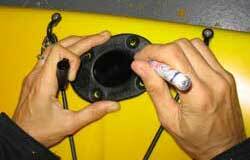 Use the Rod Holder to mark the screw positions. 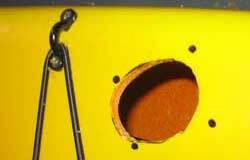 Drill the holes quite small as plastic boats are soft and the screw will hold better if there is a smaller guide hole. 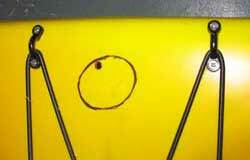 In fact, before drilling check whether you can screw the screws in without guide holes. 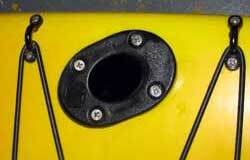 Many plastic kayaks are soft enough for you to do this. 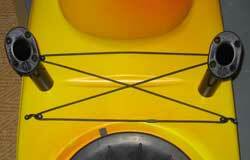 Spread the silicone liberally onto the area of the rod holder that will contact the hull before fitting the holder. Tighten the screws and good luck catching your dinner. Don't Lose Your Rod - if you don't already have something on your deck to secure your rod to while trolling, please add a Plastic Saddle nearby. 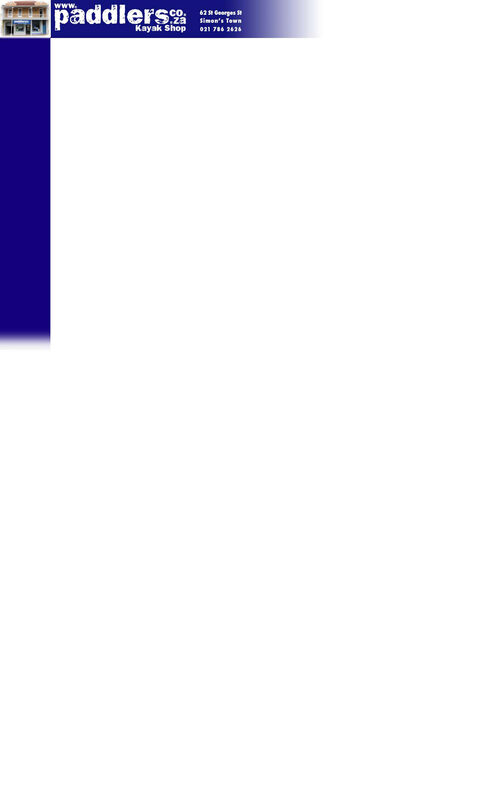 If you don't have deck bungies as in the picture, now is a good time to add them.